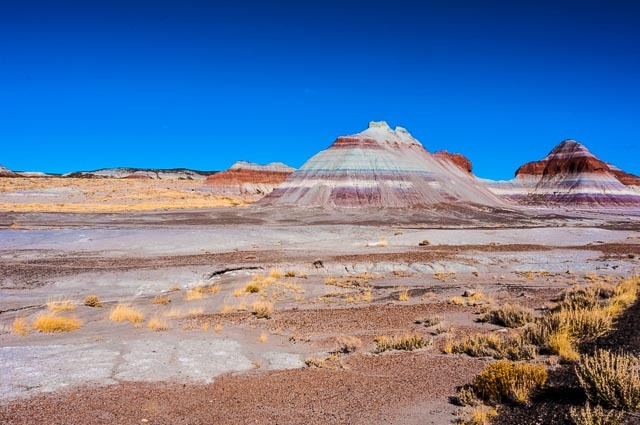 Our next stop after the Grand Canyon in out November 2012 South-West Parks Camping Trip was the Petrified Forest. 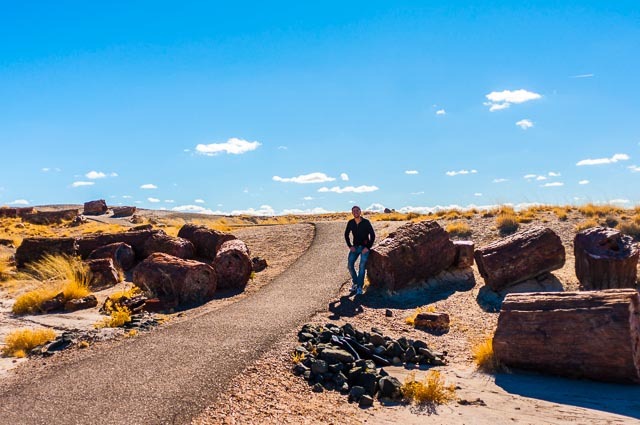 Petrified Forest National Park is quite big (146 square miles) and we spent the day driving from section to section and taking hiking trails within each. 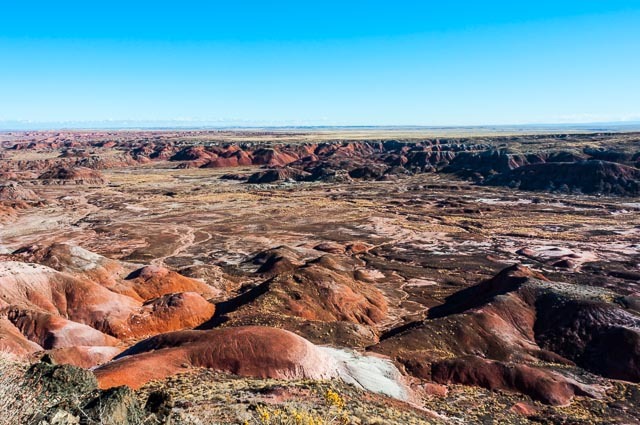 We first passed through the colorful desert like Badlands part of the National Park, called the Painted Desert. 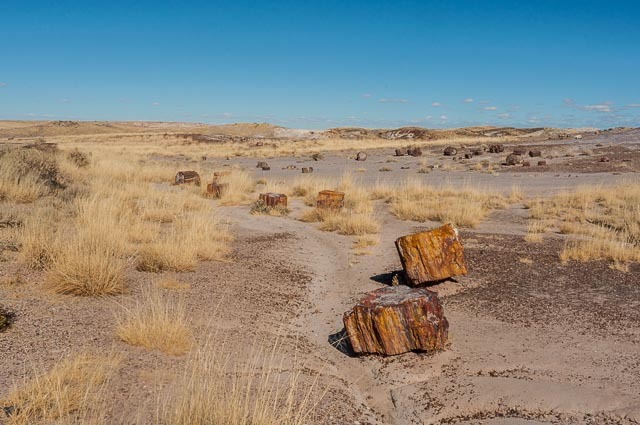 This area didn’t have much of the characteristic petrified wood, but was still very striking. 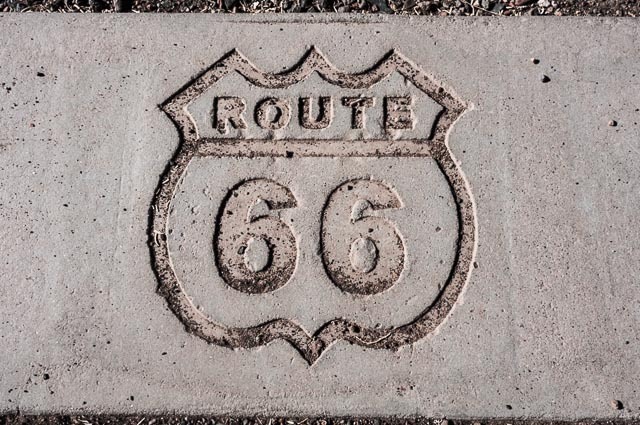 Historic Route 66 passes through here, which is pretty neat. 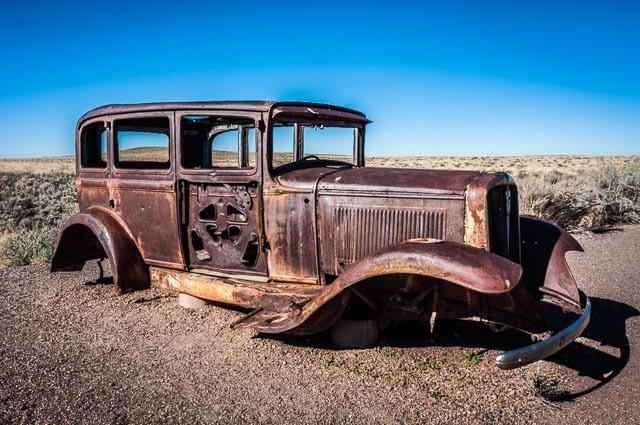 This old auto body was just sitting there asking to be photographed. No idea why it was there. There are also a few specific “sites to see” within the park. Including native american ruins, hieroglyphics, and the visitor center. 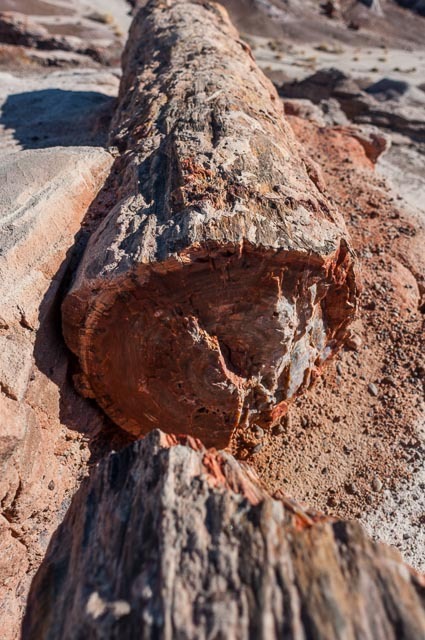 The main event is the petrified (fossilized) wood. 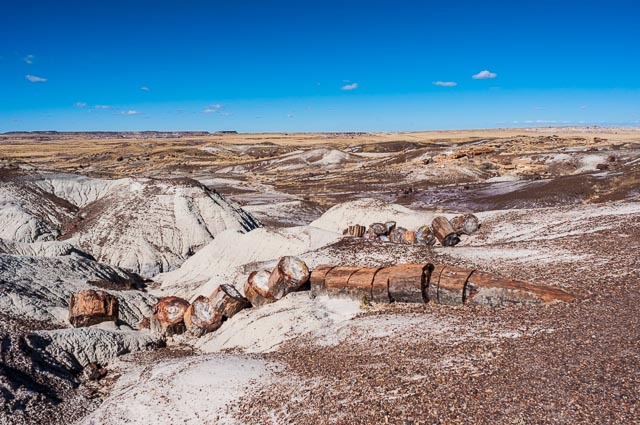 The surplus of petrified wood in this area gives the park its name. Unfortunately they have lost a lot of the petrified wood that was once here due to visitors stealing it. Now they have more rangers to try to control stealing a little better, but it is still a huge problem. These logs are found all over the area, not just within the park, so it is hard to say if the stores just outside the park stole their wares or if they came from their own collection from their own property as advertised. 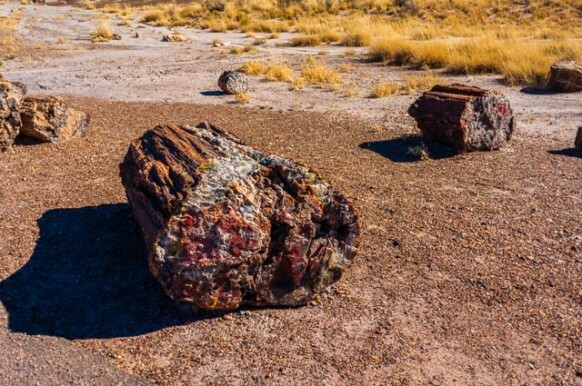 Petrified Wood, which literally means “wood turned to stone”, are fossilized remains of plant life. They are unique to other fossils because they are a three-dimensional representation of the original, rather than simply an impression. But how?! First the tree ends up underground, initially preserving it because there is no oxygen for aerobic decomposition. 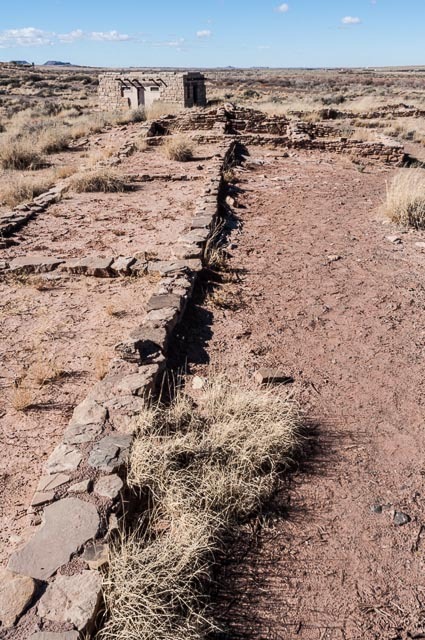 Then mineral-laden water penetrates the plant matter cell-by-cell depositing its minerals inside and thus preserving the structure of the original living tree at a cellular level (“permineralization”). Eventually the plant matter does decay and is completely replaced by stone. The whole process is called petrifaction and gives us these beautiful stones that look like trees from some magical forest. The park is pretty flat and accessible. We took a few loop hikes, most were easy like this one and surrounded by the prettified wood and pretty colorful hills. 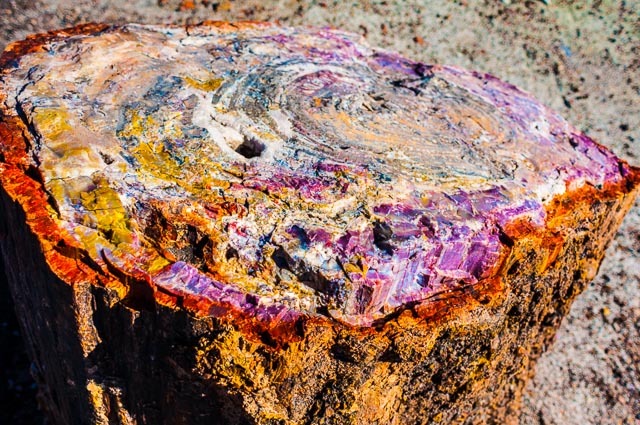 It is difficult to really capture how colorful the petrified wood is. It is a crystal or geode that is also a tree. The stores outside the park had some polished smooth like marble, and that was really stunning. I just want to tell you that I am beginner to blogging and definitely enjoyed you’re web blog. Probably I’m want to bookmark your blog . You definitely come with fantastic well written articles. Thanks for revealing your webpage. The very next time I read a blog, Hopefully it does not disappoint me as much as this particular one. After all, Yes, it was my choice to read, however I genuinely believed you would probably have something interesting to say. All I hear is a bunch of complaining about something that you can fix if you were not too busy seeking attention. I really intend to tell you which I’m really beginner to writing a blog and completely liked your webpage. Probably I am going to store your post post . You absolutely have great article content. Get Pleasure From it for telling with us your website page. Looking to find or become a sisterwife? Check out sisterwives. Hey there, You have done a great job. I’ll certainly digg it and personally suggest to my friends. I am confident they will be benefited from this site.